The Village Vanguard is a jazz institution, with bistro tables and chairs tightly configured and a downtown ambiance. The Club is small and dim, with a Cubist mural of nudes at the rear of the Club. Numerous jazz photos are displayed on the black walls. I sat toward the back, on the side, and hoped for better sight lines, as the Harry Allen/Scott Hamilton Quartet was dynamite. In the first piece, Just You, Just Me, Jeff Briggs, standing in for Grady Tate, kept a fast-spirited momentum building for Harry Allen's smooth and vibrant saxophone. 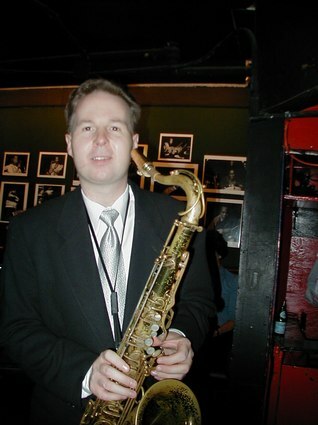 The second piece, The Smooth One, found two saxophones together, as Scott Hamilton joined the band, and the two saxophones began a trend, as they alternated passages in their own unique styles. John Bunch, on piano, developed a nice, swing rhythm, in advance of a riff on Jeff's drums. There was perfect timing, as the drums melted into the saxophone duo. The third piece, a Benny Goodman swing, relied on the drums as the backbone and pulsating frame for this very danceable tune. Dennis Irwin had some good moments in this piece. The red, velvet backdrop was very effective in showcasing this Quartet. John's piano was outstanding, and then Dennis and Jeff played a combo, bass and drums, that led into the saxophone duo once more, with contrasting harmonies and brilliant sound. 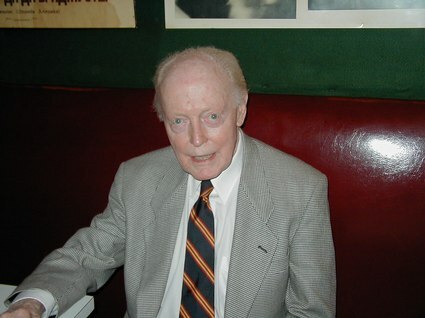 Scott Hamilton chose a solo ballad, slow and romantic, accompanied only by soft piano, brushes, and bass. Scott's saxophone could have been a soulful lover, melancholy and moody, a seamless song. This ballad was followed by another saxophone duet, but mostly featuring Harry Allen. Harry has the ability to surprise his audience with intentionally skipped octaves that are evocative and contemporary. A piano solo, with soft sax backup, had a bluesy effect. The finale had a windy and wild tempo, and Harry Allen was well matched to his instrumental counterpart, as they played potent and proud melodies that flew around the theme like a hummingbird. The band was totally ON, during this final piece. 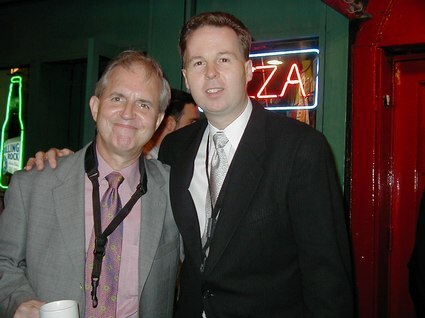 Try to catch Harry Allen and/or Scott Hamilton, when they're in town. 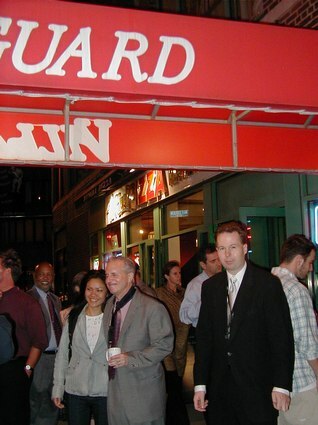 Watch listings for The Vanguard, such as the extremely legendary, Vanguard Jazz Orchestra, performing every Monday night.